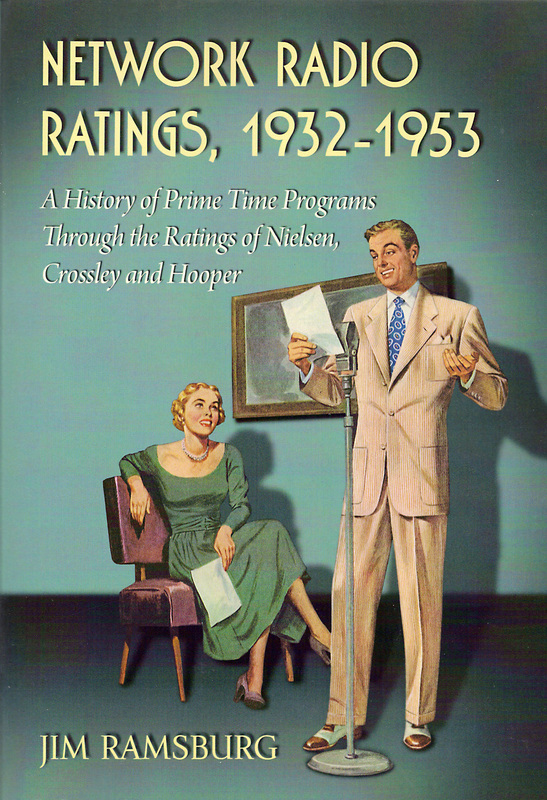 The final chapter of Network Radio Ratings, 1932-1953 lists the Top Ten Programs & Personalities of the Golden Age in five genres - Music, Comedy, Drama, Audience Participation and News/Sports. The programs are listed in order but the scores that determined their order are not revealed. All of these great comedians delivered laughs to millions. Nevertheless, to determine their relative popularity, the Ranking system is preferred for two reasons. First - and most obvious - are the differences in methodology used by Crossley, Hooper and Nielsen. Crossley’s CAB ratings based on listener recall interviews were easier to achieve than those earned by Hooper’s telephone coincidental surveys or Nielsen’s mechanical polling. To be more precise, the Homes Listening value of a rating point in 1932-33 equates to only 60.3% of a 1942-43 rating point and just 43.1% of 1952-53 point. This variable invites an “apples & oranges” comparison and invalidates any formula to determine total audience acceptance that involves either accumulated or average rating points. Instead, the simple point system based upon the annual rankings of each program against its contemporary competition disregards the variables of the methodologies employed or the number of total Radio Households involved. Baseball box scores are absolute facts resulting from the actions of the performers as witnessed by many others and sometimes confirmed by thousands or millions of observers via radio and television Ratings are different - particularly during many of the 21 years of Radio’s Golden Age covered in Network Radio Ratings, 1932-1953. They’re the results of the reported reactions of those who could only claim to have heard the performers with no confirmation that they had. That’s why rating services always labeled their reports as Audience Estimates - because that’s exactly what they are. So why has so much weight been given to these estimates since Archibald Crossley first introduced them in 1930? It’s simply because ratings - regardless of the various systems’ methodologies - have been the only means to measure with any degree of accuracy the comparative popularity of programs, stations and networks. Like baseball in the summer, ratings were the only game in town. So, despite the deficiencies in Crossley’s Next Day Recall system, Hooper’s Telephone Coincidental surveys and Nielsen’s Audimeter polling, the broadcasting and advertising industries needed their reports to track the trends of listeners’ preferences. And when the samplings of bi-weekly reports were accumulated into quarterly and seasonal totals, their trends became obvious and valid beyond the dispute of anyone except the most nit-picking critics of ratings.